Multiple account log-ins and vacation-message creation have been added to the mobile version of Gmail, Google's email program, for Android and iOS devices. The changes were rolled out yesterday and are available today. Desktop users of Gmail have been able to login into multiple accounts simultaneously for some time--mobile users can now do it, also. Accessing multiple accounts is as easy as tapping the new account switcher button at the bottom of mobile Gmail's browser interface. That will display a pop-up menu that gives you the option of switching between accounts or signing in to all accounts simultaneously. "Of course, if you don’t already have multiple accounts enabled, you will need to enable it first by visiting your account settings and selecting the box that allows you to access multiple Google accounts in the same browser," Juli Clover reminded Gmail users in the PadGadget blog. If you do use multiple accounts, you might want to create a bookmark that lives on the application screen of your device for each account. Not all devices support this feature, but iOS phones and tablets, which use the Safari browser, do. On those devices, while Gmail is in your browser window, tap the bookmark icon beside the address bar and from the pop-up menu that appears, choose "Add to Home Screen." When you're on vacation or need to generate some other kind of message to be sent automatically to anyone who sends a message to one of your Gmail accounts, you can do it through a set-up menu accessible from the toolbar at the top of the mail program's interface. From the settings menu, the program will set the start date for the message, and you can set the end date. 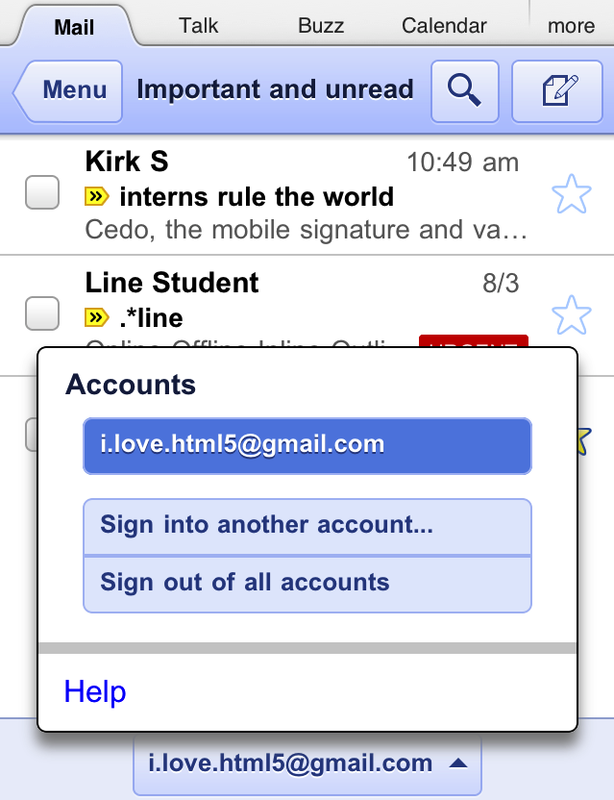 You can also limit who will receive the auto-responder message to just contacts in your Gmail address book. Another new feature accessible from the settings screen is the ability to create a custom signature for a mobile device. Google suggests this might be handy for explaining why a particular message may not meet your ordinary high standards for spelling and grammar. Of course, if someone hacks into your Gmail account, such a signature could give their fractured English more credibility than it ordinarily would have, too. While these latest additions to the Gmail mobile web app are small in nature, they can add to your productivity when you're using Google's online mail program. It's a program, by the way, that can be easier to use than some dedicated email apps, most notably, the iPad's built-in email app.